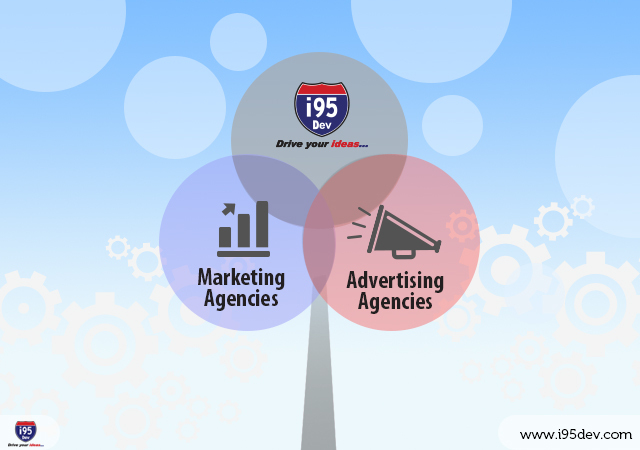 Every company has their niche – if you are a marketing or advertising agency, you are good at marketing. This is a skill many people do not have. Because everyone has their own specialties, you might not be as good at technology as another company, such as i95Dev. It is common for companies of all sizes to need partners to carry out their full function. If you find yourself overwhelmed when you are trying to finish a web development project, it is more productive to find a partner that specializes in the technology aspect than becoming so overwhelmed that you become less efficient for your company and its functions. Let’s face it; every company’s final goal is to make a profit. If you try to take on tasks you cannot handle, such as web development, you could cost your company a large amount of money and possibly even lose clients. The risks are not worth it. What is worth it is partnering with a web development firm that can handle the development and maintenance of the website, leaving the marketing up to you. Expand Services – If you are not skilled in the website development area, partner with the experts that are. This enables you to work out better rates and gives you a constant in the web development field, rather than taking the time to find someone every time you need to develop a webpage. You can then pass the savings on to your clients, increasing your business and sales. Collaboration – Two heads are better than one. In the marketing and web development industry, this is key. Partner with the experts and you can create websites for your clients that are above and beyond what they expect, allowing our collaboration to provide superior results. Easy Marketing – When you partner with a web development company, you open many doors for more referrals, possibly even those you would have been unable to obtain on your own. Additional Expertise – Adding developers, digital experts and freelance specialists on an as-needed basis automatically increases the expertise and function your business can offer to your clients. Quality Solutions – Attain excellent customer service by obtaining flexible delivery models and offering quality solutions that would otherwise be unattainable. The bottom line is while it is beneficial to partner with a Web Development Company, it needs to be a quality company, such as i95Dev. At i95Dev, we take a backseat role or silent partnership. No one knows we are offering our technical expertise to bring your websites above and beyond what your clients expect. That is, unless you want us up front in the face of action, helping you determine exactly what comes next and how to achieve the goals of your client. We offer the expertise, support and solutions you need through the use of our dedicated IT professionals. You determine the level of partnership, we do the work; it is a win-win situation.